Croatia has closed on December 22nd three of the negotiations chapters with the EU, including one of the most difficult: Chapter 24 - Justice, Freedom and Security. The other two provisionally closed chapters were: Chapter 27 - Environment and Chapter 31 - Foreign, Security and Defence Policy. From now on the country will have to work hard on the closure of the remaining seven chapters, but according to Croatia’s foreign minister and chief negotiator Goran Jandrokovic the deadline for the conclusion of the accession talks remains June 2011. 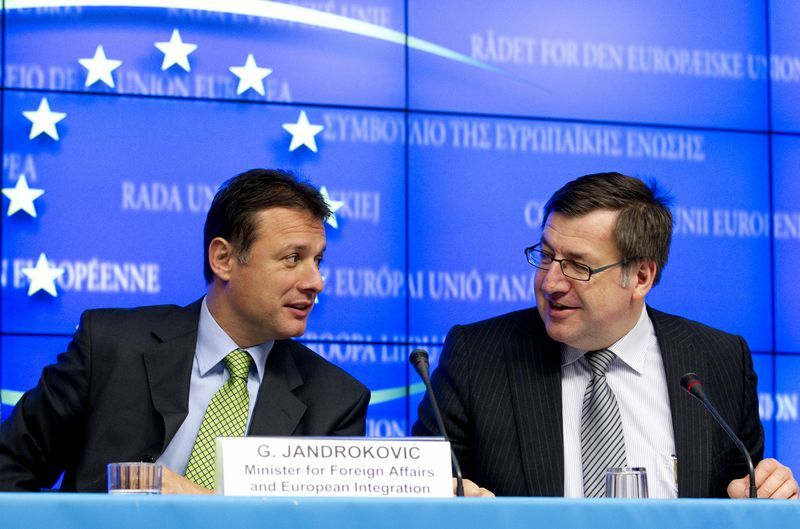 “In the end of the day, it will be a successful day for all of us – for Croatia, for the region and for the EU,” Jandrokovic said after the eleventh meeting of the Intergovernmental Conference with Croatia at Ministerial level, held in Brussels. But the country needs to be 100% ready before completing the negotiations, he added. According to EU enlargement commissioner Stefan Fule, bringing the negotiations to a successful end was in the hands of Croatian authorities. He welcomed the ambitious agenda, according to which the country plans to end the negotiation process by the end of the Hungarian presidency of the EU. Steven Vanackere, Belgium's Deputy Prime Minister and Minister for Foreign Affairs and Institutional Reforms, also hailed the progress made by Croatia in the areas of judiciary and fight against corruption, but declined to elaborate on a time-frame, noting only that it would take around 18 months from the end of the negotiations and the final ratification of the membership. By the end of the negotiations though, the country should reform its judiciary so that it becomes more independent and more efficient, to strengthen its cooperation with the Hague tribunal, as well as to fight against corruption at all levels. 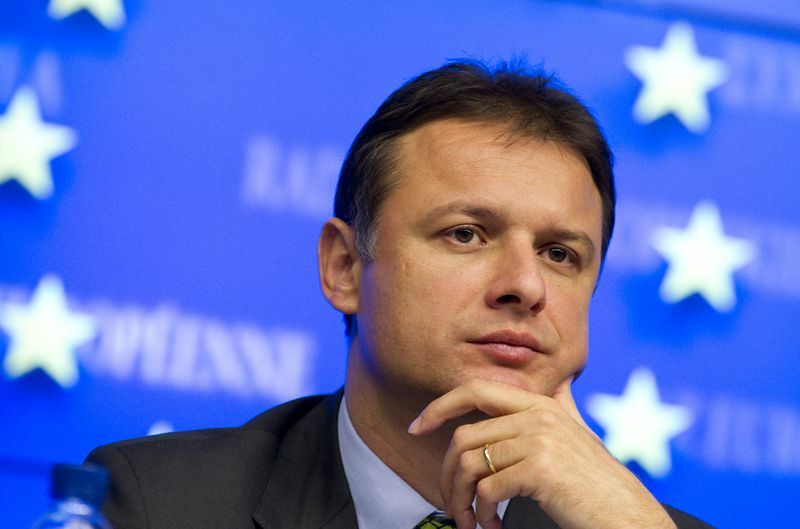 As euinside has already reported, fighting corruption on top government levels was being associated with only one name these days: the name of former Prime Minister Ivo Sanader. And while Jandrokovic and Vanackere were wishing each other “Merry Christmas”, Sanader was to spend the holidays in custody in Salzburg, while awaiting extradition to his country. According to a Financial Times commentary, published on Wednesday, December 22, Croatia must show that it had, and was willing to use robust mechanisms for dealing with public sector corruption, as the moves against high-ranking officials also emphasized just how widespread corruption in Croatia had been. 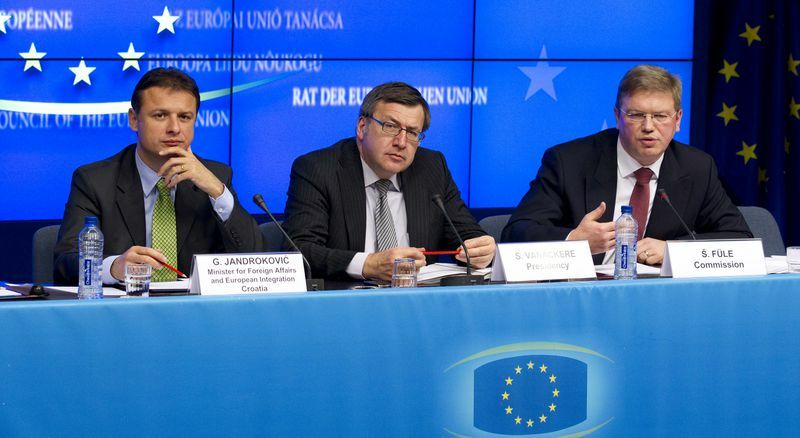 “A proper investigation of Mr Sanader’s alleged crimes is a necessary condition of Croatia’s EU accession. But it is not sufficient. Zagreb must show convincingly that it has put the wider culture of corruption and impunity firmly behind it,” it adds. The arrest of the former Prime Minister was aimed to show Croatian government's eagerness to deal with corruption, but at the same time Sanader’s successor is blamed for "showing off her muscles" before the EU, as Sanader is still not officially charged and, besides, the prosecution has collected eyewitnesses' statements, but no real evidence against him. In the meantime, Sanader spoke for the first time in public, after a trial started against him in Austria, in relation to the so called Hypo affair. He said that a media war was staged against him and he had already sentenced in his own country. On the other hand, some obvious facts cannot be hidden: the incumbent Prime Minister and ruling party HDZ leader - Jadranka Kosor - used to be Sanader’s right hand, which casts doubts over the country’s political stability in the current situation. 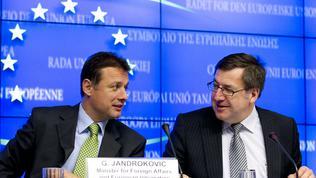 Both Jandrokovic and Fule, however, denied that there was such a risk. 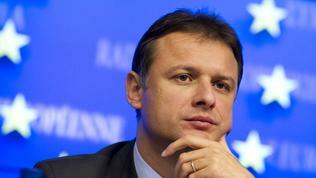 According to Jandrokovic, rule of law would not harm the political stability of the country. Fule, in his turn said, that it was wrong Croatia to be made to chose between fighting corruption and ensuring political stability.